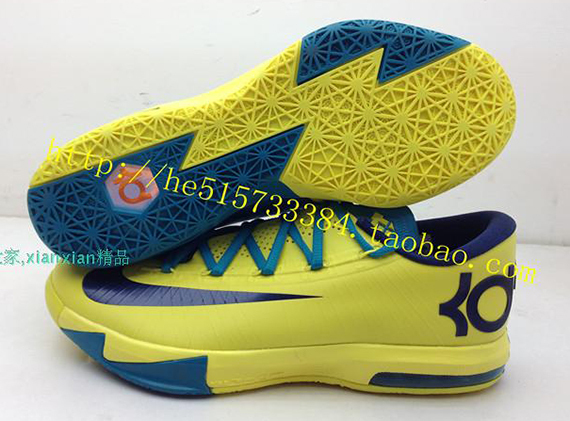 With the Nike KD V model coming to end in just a few weeks, Nike Basketball is ready to unveil the Nike KD VI. 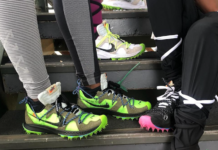 Rather than waiting until the end of the year to unveil these bad boys, the folks at Nike have decided to unleash these joints in the coming summer/fall months. 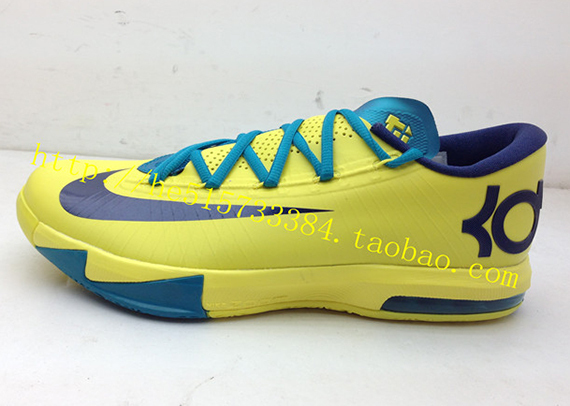 The inaugural release for the KD VI is expected to be this bright yellow/blue version, which could be seen as a possible “OKC Home” colorway. 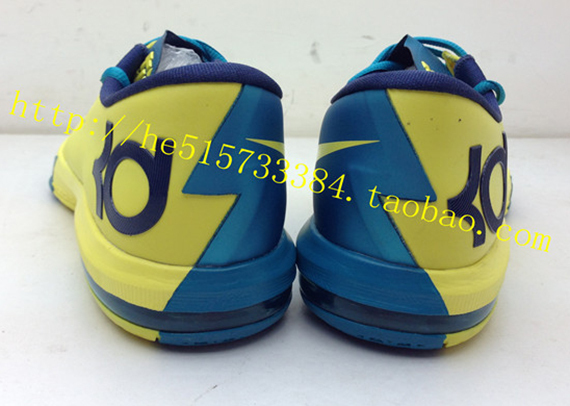 In comparrison to the KD V, these kicks sport some dope new upgrades. 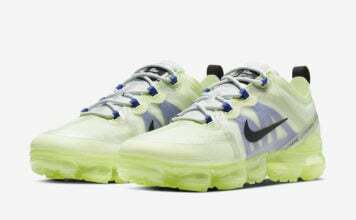 For starters, the cushioning system has been upgraded to a 180-degree Zoom Air unit which will be embedded in a Phylon midsole. Second, the shoes upper has gotten an ill facelift as it will be sporting a clean low profile and seamless shell with embedded Flywire. 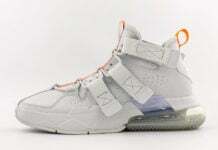 A few other notable structural upgrades include the tongue and lacing structure which now sports a visually appealing split-tongue construction and shroud leaning on the lateral side which will provide and even more comfortable fit for the foot. 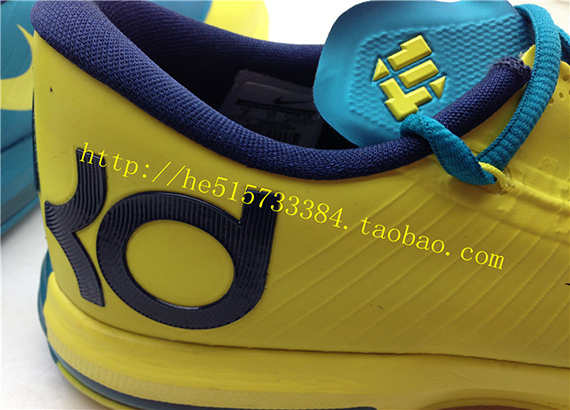 We’ve got some detailed shots of the Nike KD VI which will surely make for a great conversation amongst sneakerheads. Check them all out and join the discussion below. Will these be an instant cop? Or flop? hit us up and let us know what you think. Kobe way of thinking, using a soccer shoe as a concept. 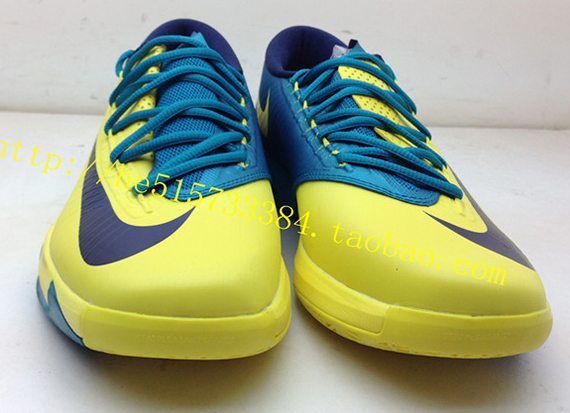 I like it,better than any kobe low out there yet… I wanna see the kobe 9, the durants out did their selves on this one. And cant wait to see the lebron11.. would he go the jordan way ala concords n breds or space jams… We shall see!